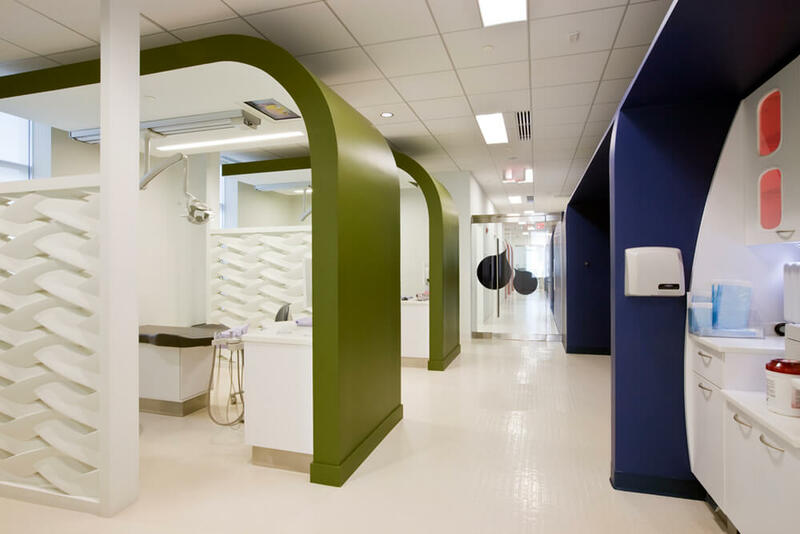 Dr. Banaji approached FORMA Design as he was about to begin the renovation and development of the modern pediatric dental clinic in Falls Church VA from a dilapidated shell building in the new Mosaic District area of Northern Virginia. 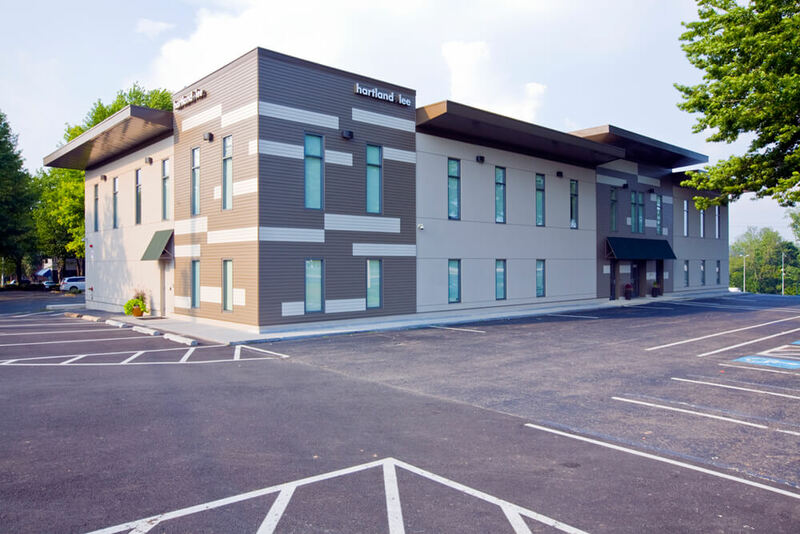 His intent was to create a medical office building housing 3 medical practices, leasing the two on the lower floor to other professionals while taking over the entire 7000sf second floor for his new Pediatric Dental clinic. 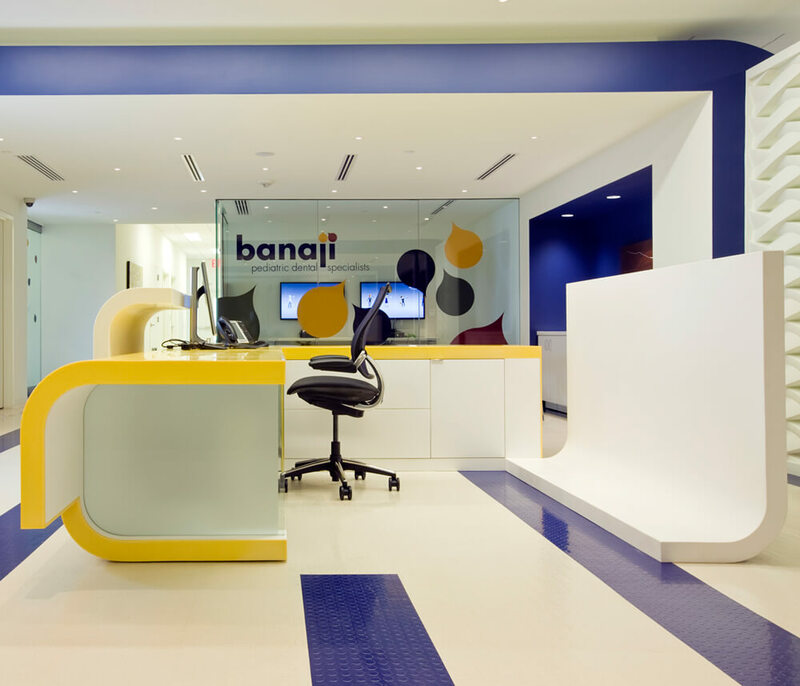 His wish was to create a forward-thinking paperless and totally digital practice, that would help re-define the process of providing dental care to kids of all ages. 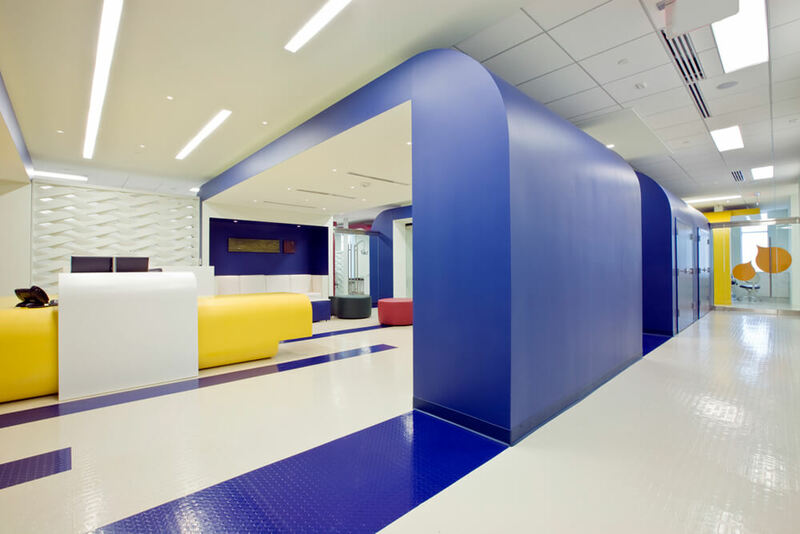 The large rectangular floor-plate is organized around a spacious central arrival, sign-in and waiting area. 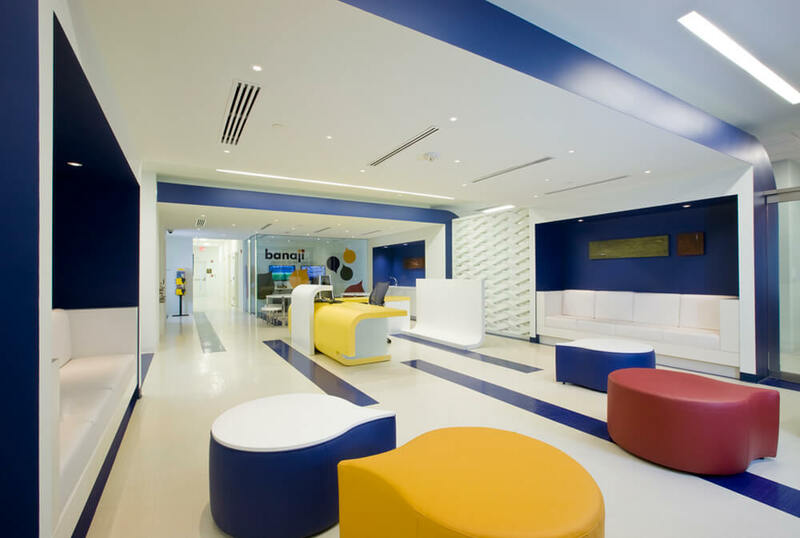 This central hub houses the reception staff and allows for parents to feel comfortable waiting at a cafe or the lounge seating while kids play: partake in individual video games, watch movies or play a group “Kinect” video in the large multi-purpose room. 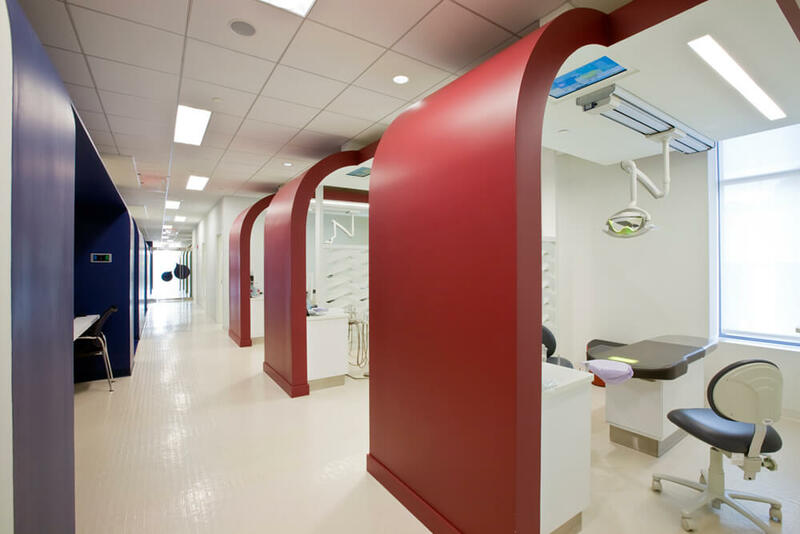 The Multi-purpose room is enclosed with a glass door system that folds away and becomes part of the reception area for large gatherings or “meet the dentist” informational field-trips for school groups. Beyond the central multi-functional core, and taking over the perimeter of the building are the treatment areas. 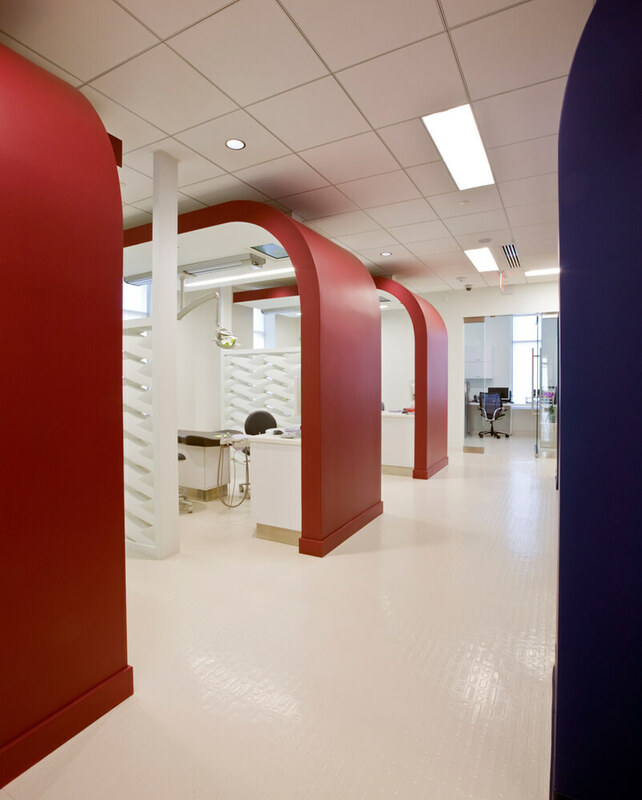 Each age-group is housed in a color-coded section of the practice structured to address the dental needs of that specific group. It won an American Institute of Architects/Miami chapter Merit Award of Excellence in Interior Architecture in October 2015. 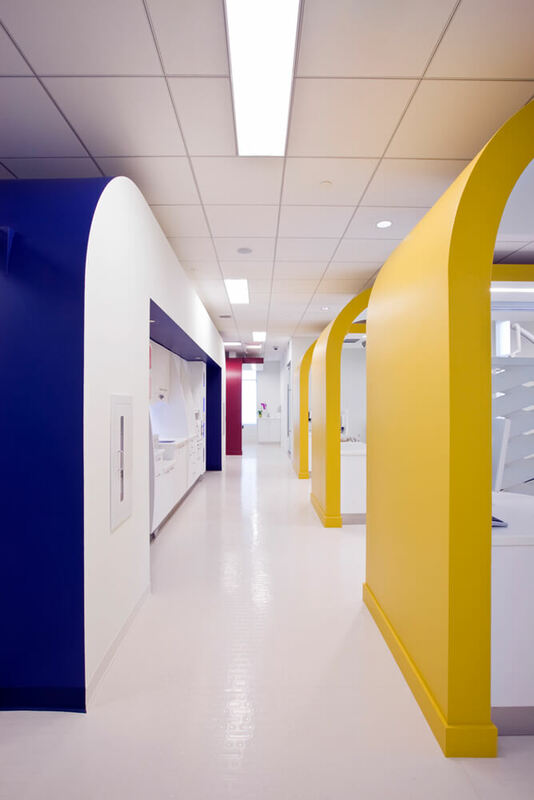 "Andreas Charalambous, the principal at FORMA Design Inc. was tasked with transforming a forty five year old, fifteen thousand square foot industrial building, inside and out. And FORMA delivered! I had ideas and a vision for the project but without FORMA's technology and techniques to educate me and conceptualize the vision, I would have fallen short in delivering the product to my tenants and to myself. The process began with FORMA’s deep understanding of my vision followed by several productive, organized meetings and action plans. 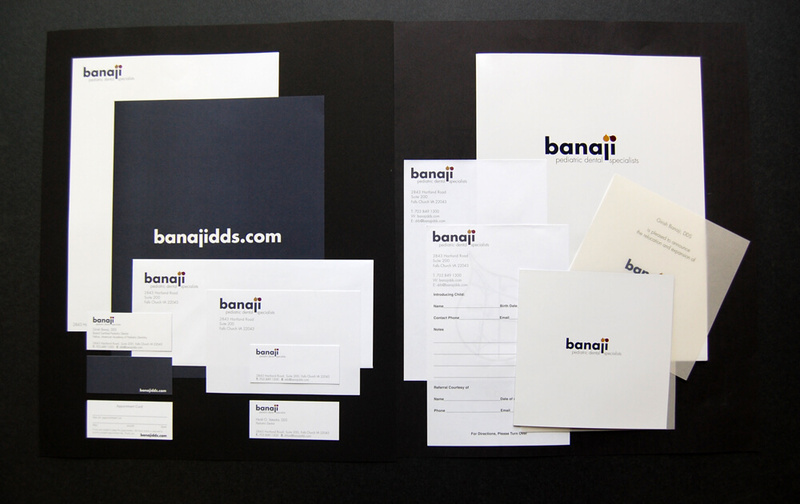 What started out as a daunting task in real estate acquisition and development turned out to be an amazing experience in real estate ownership, design and execution. 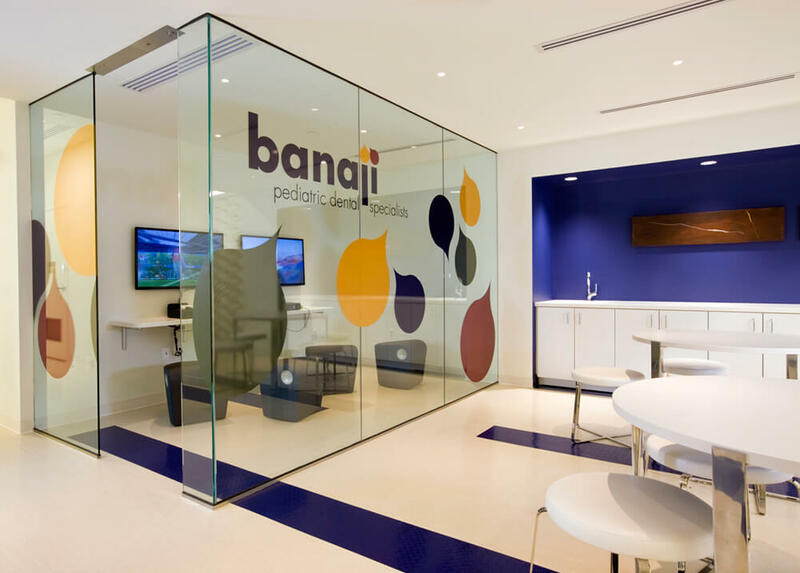 Banaji Pediatric Dental Specialists set out a goal to create an atmosphere for parents and children as they journey from infancy through teenage years. Creating functional spaces infused with the owner’s personality and melding design with progressive, cutting edge technology and equipment is Forma’s reputation. 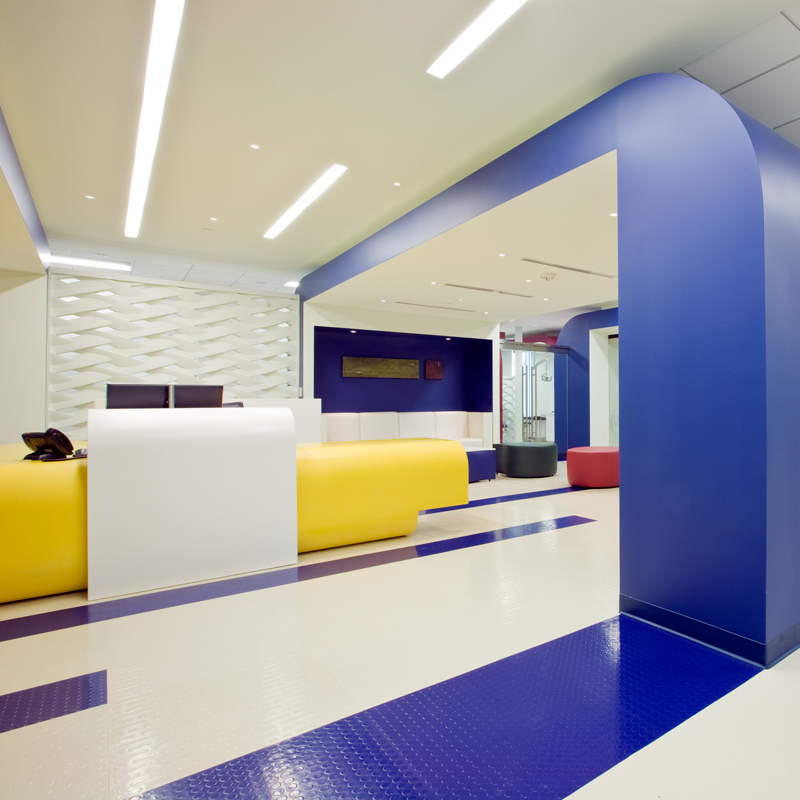 FORMA created our 7500 square foot space as an open, modern, sophisticated space catering to all age groups. 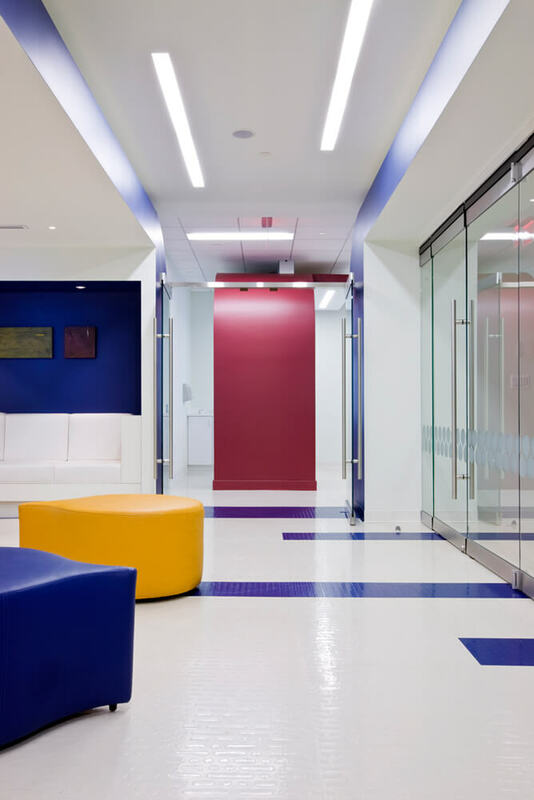 In addition, FORMA was the single point of contact for critical elements of the project – planning, coordinating with base building architect, logo design, graphics, website design, signage, furniture and furnishings. 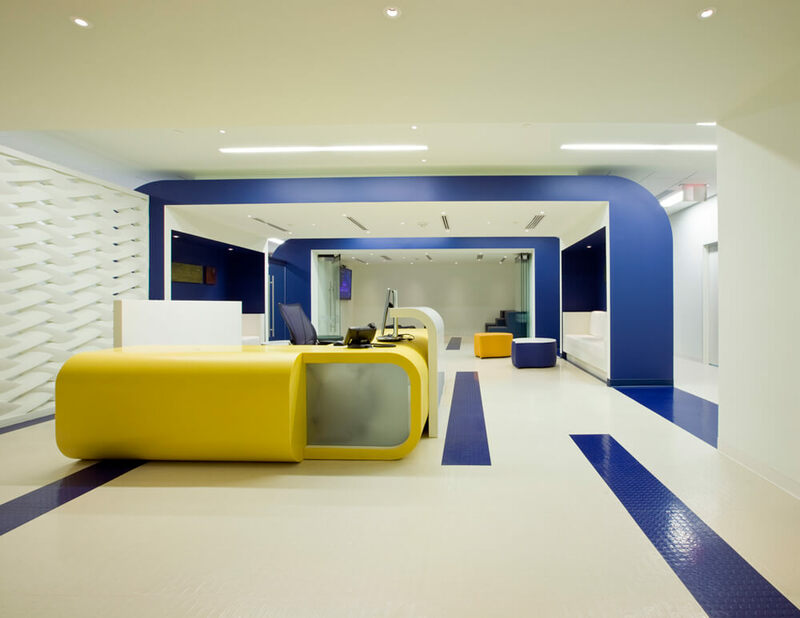 Our reception area has been referred to as a “playground” while others have complimented the intricate architecture and clean, modern appeal. 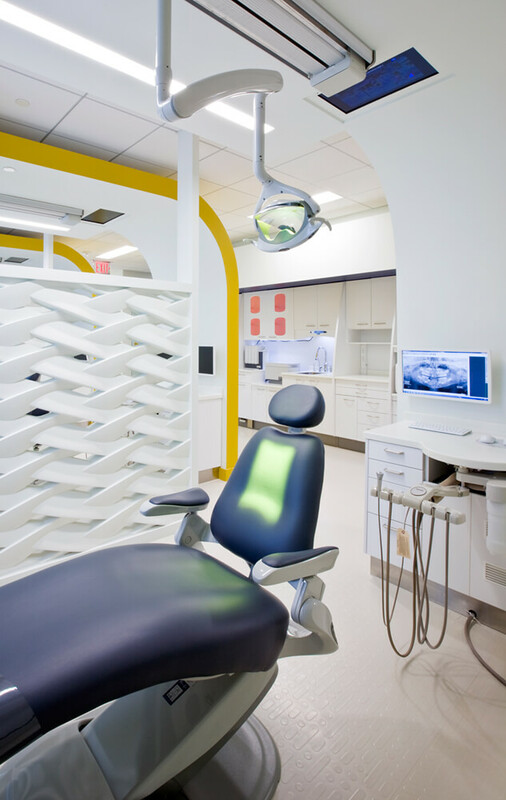 At the end of the day, our patrons leave with the confidence that they receive comprehensive care in a dental home carefully crafted with them in mind. 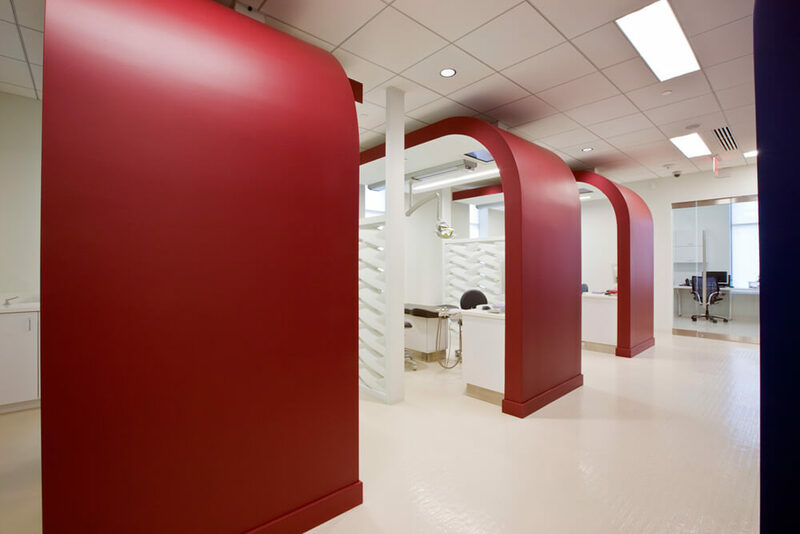 Relocating and branding my pediatric dental office has been a tremendous accomplishment at the business and personal level. FORMA Design lead by Mr Charalambous deserves recognition for an indispensable role in this venture."